RICHMOND, VA, January 10, 2019 — Marquis Who's Who, the world's premier publisher of biographical profiles, is proud to present W. Taylor Reveley III with the Albert Nelson Marquis Lifetime Achievement Award. An accomplished listee, Mr. Reveley celebrates many years' experience in his professional network, and has been noted for achievements, leadership qualities, and the credentials and successes he has accrued in his field. As in all Marquis Who's Who biographical volumes, individuals profiled are selected on the basis of current reference value. Factors such as position, noteworthy accomplishments, visibility, and prominence in a field are all taken into account during the selection process. Mr. Reveley retired on June 30, 2018, after a long and varied career. He began full-time work as an assistant professor of law at the University of Alabama in 1968-69 and law clerk to Justice William J. Brennan at the U.S. Supreme Court in 1969-70. He ended his labors in 2008-2018 as the 27th President of the College of William & Mary and its John Stewart Bryan Professor of Jurisprudence. He is now President Emeritus of the university. Previously he was dean of William & Mary Law School for a decade and, earlier still, practiced energy and environmental law at Hunton & Williams for 28 years, including service as the firm's managing partner in 1982-91. 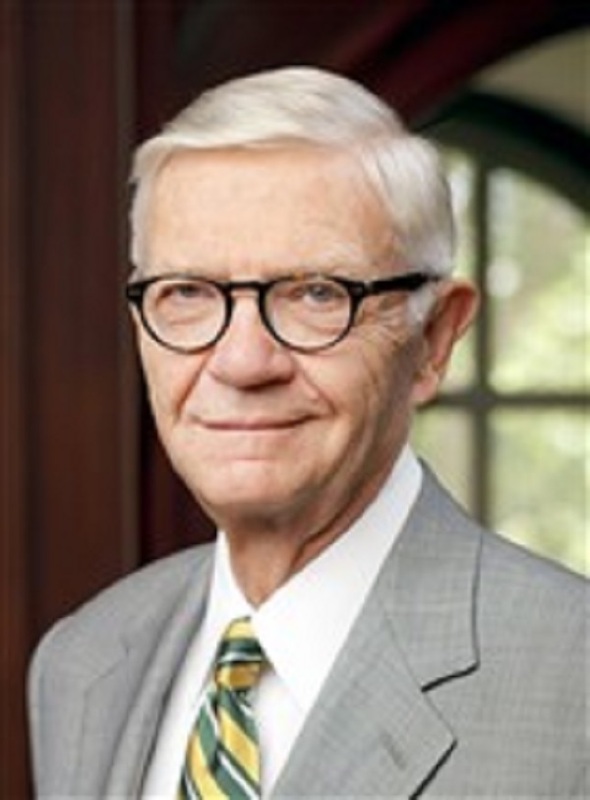 In 1972-73 Mr. Reveley took a leave of absence from his law firm to do research and write as a fellow of the Woodrow Wilson International Center for Scholars and an international affairs fellow of the Council on Foreign Relations. He has written extensively about the constitutional division of authority between the President and Congress over American use of force abroad, including a book “War Powers of the President and Congress: Who Holds the Arrows and Olive Branch?” He has also studied and taught about the responsibility of lawyers to contribute meaningfully to the larger good. Most of Mr. Reveley's extracurricular time has gone to service on a great many educational and cultural boards, for instance, those of Princeton University, the Andrew W. Mellon Foundation, JSTOR, the Carnegie Endowment for International Peace, Union Theological Seminary in Virginia, the Richmond Symphony, the Virginia Museum of Fine Arts, and the Virginia Historical Society. Mr. Reveley earned his A.B. from Princeton University in 1965, graduating from its Woodrow Wilson School of Public and International Law, and his J.D. from the University of Virginia in 1968. He has received honorary degrees from William & Mary, Hampden-Sydney College and King University. He belongs to Phi Beta Kappa, Order of the Coif and Omicron Delta Kappa. Mr. Reveley and his wife Helen have four children and, so far, four grandchildren. In recognition of outstanding contributions to his profession and the Marquis Who's Who community, Mr. Reveley has been featured on the Albert Nelson Marquis Lifetime Achievement website. Please visit www.ltachievers.com for more information about this honor.